Deviation: A piece of artwork on DeviantArt. Deviations can be images, literature, film or Flash. 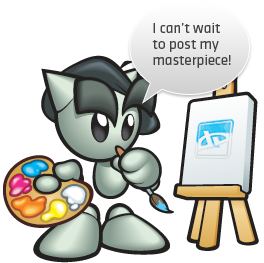 Upload an unlimited amount of artwork for FREE. Build an instant audience by displaying your work in front of over 48 million members. 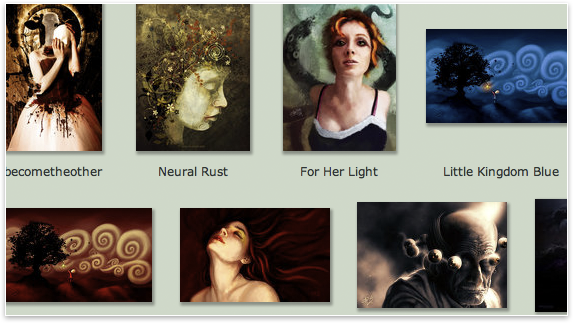 Present your artwork dynamically with the Sitback slideshow player. 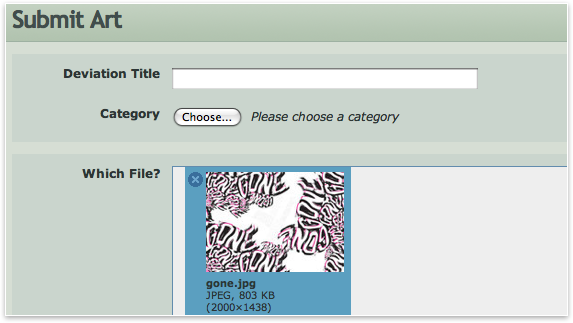 Create a professional portfolio to submit your work for consideration by potential employers, art schools, or clients. 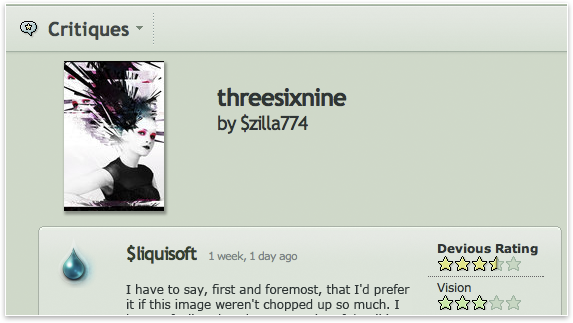 Get critical feedback on your work from other artists and art lovers with DeviantArt Critique.